Growing Cannabis indoors allows you the opportunity to have complete control over the growing and producing stages of the plant to ensure the best possible crop. 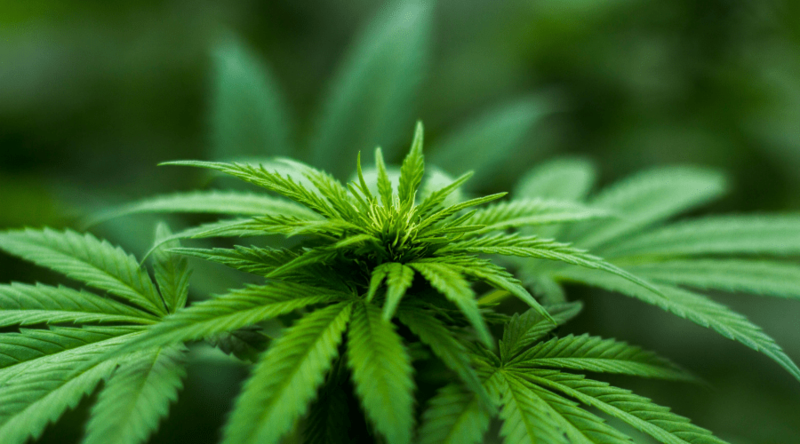 Certain strains of Marijuana are sensitive to the types of lights used to promote growth, as well as the amount of light offered through the day. Because of this, if you are growing indoors you will want to make sure you have a dependable, long-lasting light for peace of mind. Not all grow lights are made the same. Differences in spectrum offerings can affect plant growth stages in different ways, and it’s important that you are aware of how different types of bulbs and light influence your harvestable plants. What Spectrums of Light Do Plants Utilize? 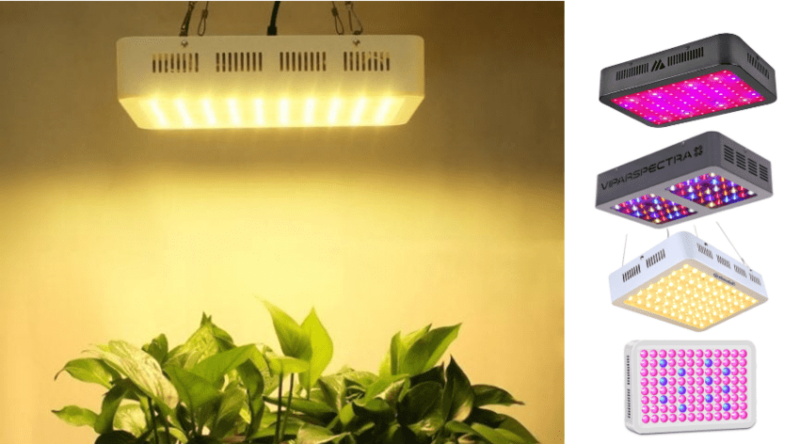 What Are The Best Grow Lights for Weed? Grow lights are artificial light sources used to mimic the natural spectrum of the sun. This helps influence both plant growth and maximizes production through the chemical process of photosynthesis. This process allows plants to convert light energy into something they can use. These lights are easy to use and run off your home outlets for power. Plus, are popular with everything from hobby growers to cash crop producers due to the control you have over light quality and time. And they come in a variety of spectrum choices to fit the various needs of your plant growth stages. Grow lights also come in a variety of sizes to meet the needs of the many spaces that may be used to grow your plants. Everything from small grow tents to larger greenhouse nurseries can benefit from the control grow lights. Since light is one of the major components plants need to thrive and survive, you will be able to manipulate and influence growth and overall production. Most plants use variable amounts of the entire light spectrum in one way or another. The rule of thumb is that young seedlings and maturing plants need an abundance of short blue wavelengths. These provide warmer temperatures which support healthy vegetation. Blooming and producing plants require the longer red hued wavelengths, which are cooler and mimic the sunlight of later in the day as the growing season progresses. Luckily, most of what a plant uses fall within the visible spectrum and can be easily measured. When you can’t decide which types of grow lights to purchase, you can stick to lights found within the 420nm – 740nm range so you can support all stages of plant growth. There have been many studies on how small amounts of IR and UV rays affect plants. Be sure to read up on them. The most important factor to take note of when growing a cannabis crop is your light quality and source. Luckily, this is also the easiest factor to control, so understanding the nuances of your crop, and the strain you are growing is an important detail to take note of. 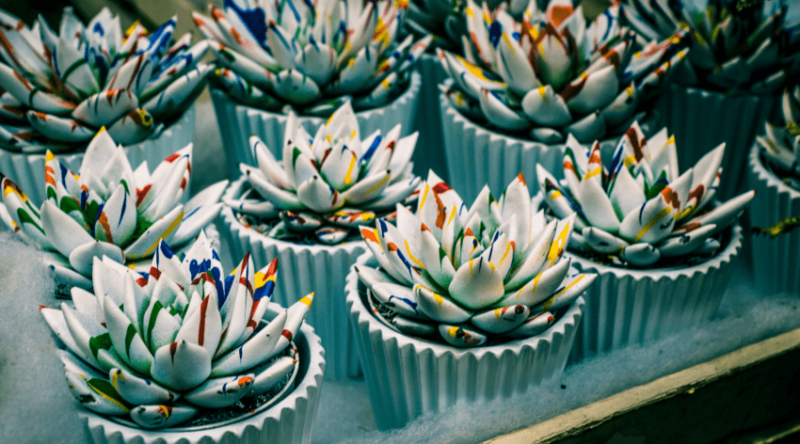 In its natural state, plants receive slightly more light during their vegetative growth stages and equal amounts of light and darkness during their flowering stage. If grown outdoors this is how your cannabis plants will develop as well, but when you are in control of the light source, you can apply longer periods of growth to help develop strong branching and leaf development. Although there may be slight differences from one plant type to the next, it’s ideal to apply approximately 18 hours of light to 6 hours of darkness during vegetative phases, and 12 hours of light to 12 hours of darkness when blooming and producing. Since you are in complete control of your plants you can tweak your timing to help force flowering, which can be a bit of a challenge with a short-day plant such as marijuana. It’s stimulated to bloom when 12 or more hours of darkness is applied. Any extra light during this period can throw off the schedule, hence, why indoor grows must be well-controlled. There are many different types of grow lights available to choose from for your growing needs, so it can get pretty confusing if you are somewhat inexperienced about what to look for when first getting started. Always be sure to do a little research concerning your specific plant strain, and what it truly needs to flourish. 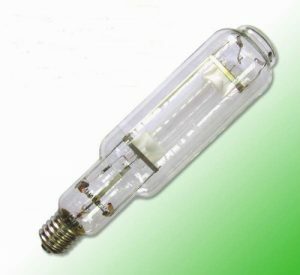 HID bulbs have been around for quite some time and are popular, dependable choices that many experienced growers come back to time and again. These lights are specific to certain ranges of the light spectrum so you can control the exact amounts of light your plants are getting. Fluorescent bulbs typically produce warmer, blue lights, and are popular in boosting early stages of growth. They burn coolly and efficiently, and also work well in more enclosed spaces. 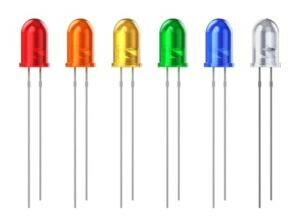 Growing in popularity, LED lights put out very little heat, and are built into panels so you can mix and match individual diodes that emit various light spectral wavelengths. This means you can offer support to all stages of growth at the same time. Plasma is the newest addition to the grow light family. They function similarly to ceramic metal HID bulbs. They are supposed to be able to offer a wider variety of light, however, and work much more efficiently. Cannabis grows, for the most part, just like any other plant does and utilizes light in the same manner. As a short-day plant that requires darkness in order to begin to produce. Paying particular attention to the quality of your light, the amount of light offered, and your light timing is important. How much space do you have for your grow? Efficiency is a word most growers need to take advantage of to provide the best product, for the best cost, they can. Plants need light and so jamming too many plants into one area is going to restrict their growth. Remember, small plants still grow bigger and will require more space as they grow. How much time do you have to give to your grow? Hobby crops are much different than commercial crops where people may be making an entire living off growth and production. If you are not a licensed, commercial grower you probably don’t have enough time to stick around to switch your light on and off. Long lasting bulbs incorporated into smart house designs allow you to set timers even when you’re not around, consider these smart investments. 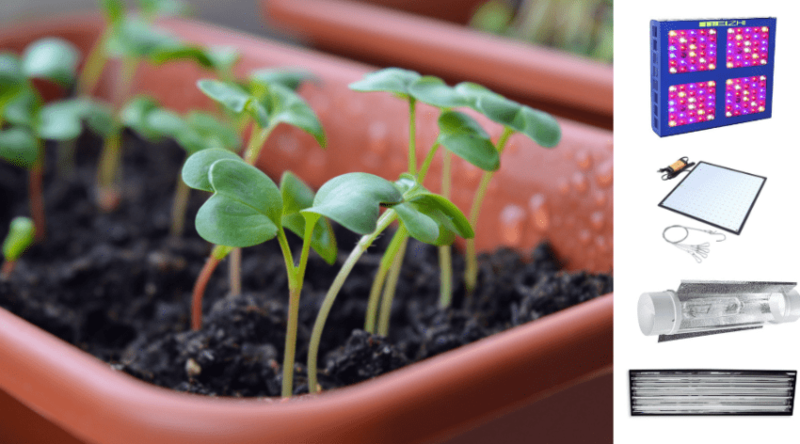 Do you plan on forcing your plant stage growths? ]The most crucial stage of growth to influence heavily is the vegetative stage. Since it requires light on the blue end of the spectrum. Use long-lasting, dependable bulbs with warmer, shorter wavelengths to help your plants mature and ensure that they are getting the most out of these long ‘days’. 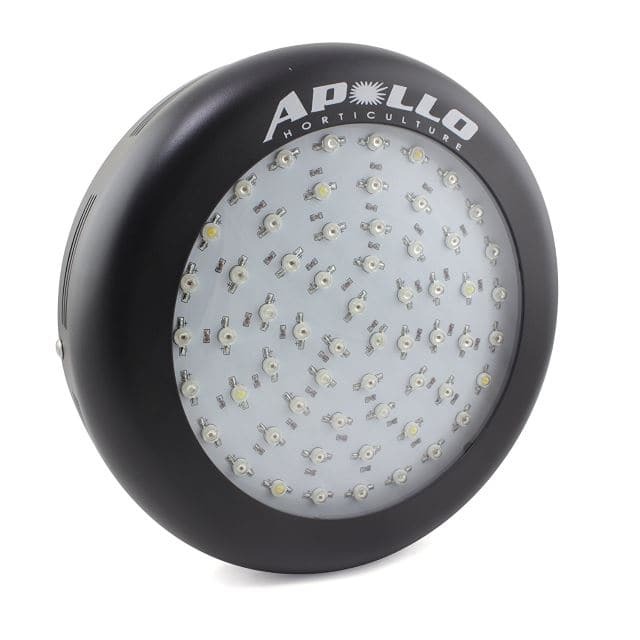 With a huge range of choices starting at a 75 watt through 1200 watt panel choice, Apollo Horticulture provides compact, powerful LED grow light designs for all stages of plant growth. It’s very affordable, possibly even one of the cheapest offered, each panel includes hanging kits and power cords and is suitable for just about any indoor grow setup from small tents to hydroponic systems. 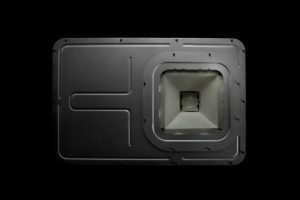 Each panel is well-equipped with cooling fans and 4 sided ventilation to help avoid heat retention and series of bulbs that are varied to include a wavelength range from 430nm to 730nm to support both growth and production. White bulbs are also included to help mimic a more natural light spectrum. 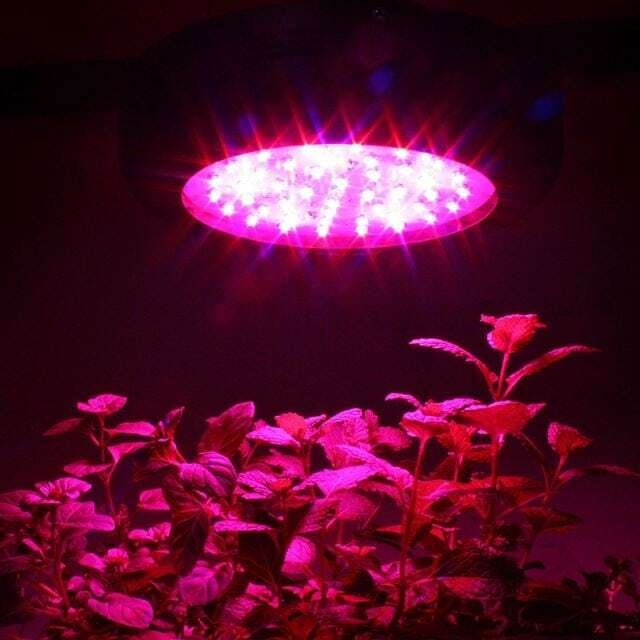 Considered excellent for both hobbyists and more serious small producers, this is a light that provides a significant impact on vegetative stages of growth, but may serve better as a supportive light for bloom and production in conjunction with additional red wavelengths. Platinum LED has created a powerful series of LED panel lights called Advanced Platinum, which spans from a 150 watt to 1200 watt panel design to choose from. With a full 12-band light spectrum that includes UV and IR, these lights are supposed to provide 2 to 3 times the light efficiency. With toggle switches between veg and bloom, you can specify the light spectrum needed for your plant’s stages to maximize efficiency. Plus, no ballast is needed to use these units. Simply plug them right in to get going and hang directly over where needed. A series of fans complete each housing unit, as well as well placed ventilation and aluminum coiling heat sinks to ensure a cool running system. 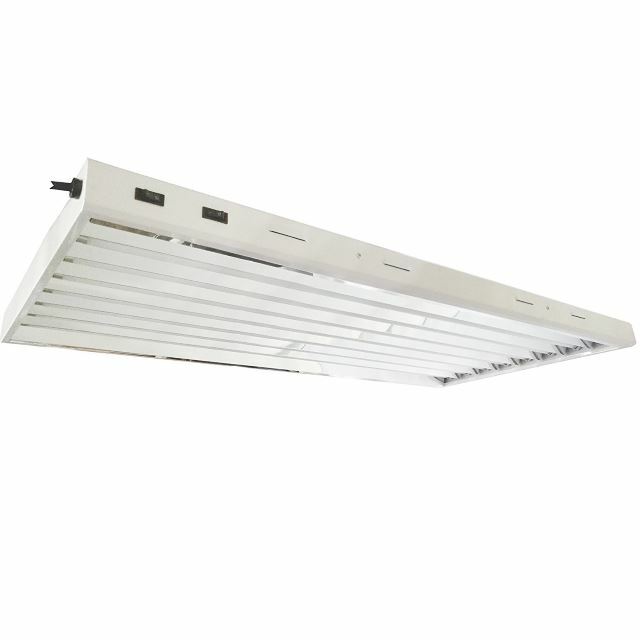 These are powerful indoor grow light solutions for canopy penetration in smaller spaces. Although these cannot be daisy-chained together, they are a good choice for varying size crop grows that need control and consistency for maximum yield. California Lightworks has a few series of lighting systems that range in strength from 110 watts to 1100 watts, all created to harness the cooling, full spectrum properties of LED bulb function. 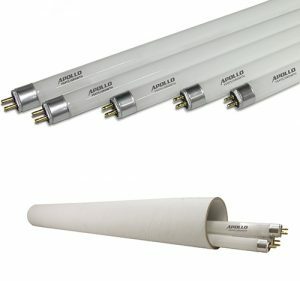 Unique to the company is the inclusion of an added veg stage support Fluorescent UVB bulb system to provide an increase of cannabis THC and CBD production. With the dual lighting design, you are able to control what light properties your plant receives with a simple flip of a switch. Either way, your plants will be exposed to high photosynthetic photon flux (PPF) for serious canopy penetration, which is extremely helpful in influencing an increase in bloom and the related higher production yield. Variable sizes make these accessible to all growers and their respective size grows, but unparalleled power makes these products a choice for anyone serious about their final crop. 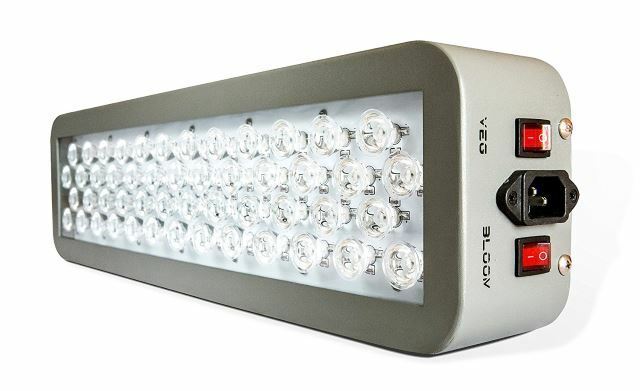 Roleadro’s 45 watt to 1600 watt light choices encourage just about any grow situation. 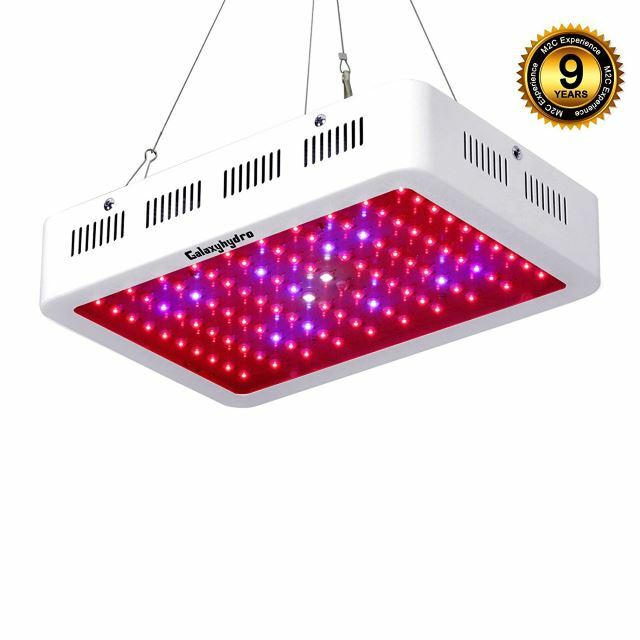 Their Galexyhydro series allow for a red to blue spectrum ratio of 8 to 1 that is more specific to bloom and high production crop yields, but still provides sufficient lighting for mature growth. With the addition of small amounts of both UV and IR, your plants are influenced to product protection against viruses as well as increased vigor. Fans and proper ventilation, combined with built-in heat sinks, helps keep these type of lights running in any indoor space. This also allows for a cool running system to ensure you can keep your lights going up to 20 hours at a time to force and manipulate specific stages of plant growth. 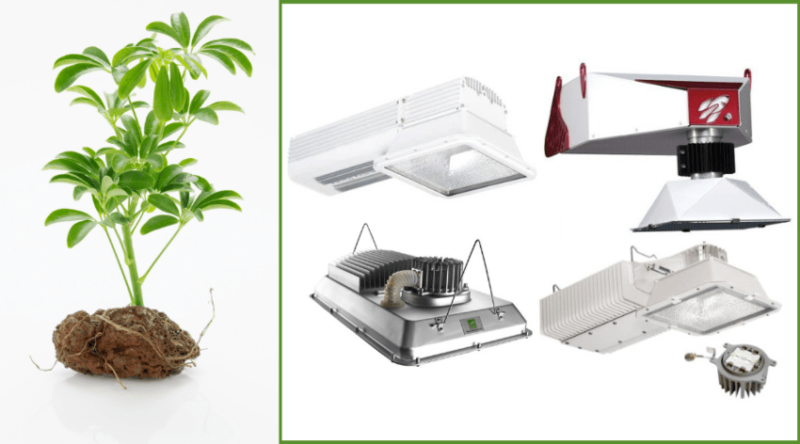 With the seriously huge range of light choices offered by the company, there is absolutely something for everyone concerning your plant needs. Small, compact lights for seed starting or up to larger cash crop grows would benefit from the variable spectrum range these lights provide. Fluorescent bulbs have been popular for many lighting situations simply due to how cool and long they run. Plus, their overall energy draw is low, especially when on for long periods of time. 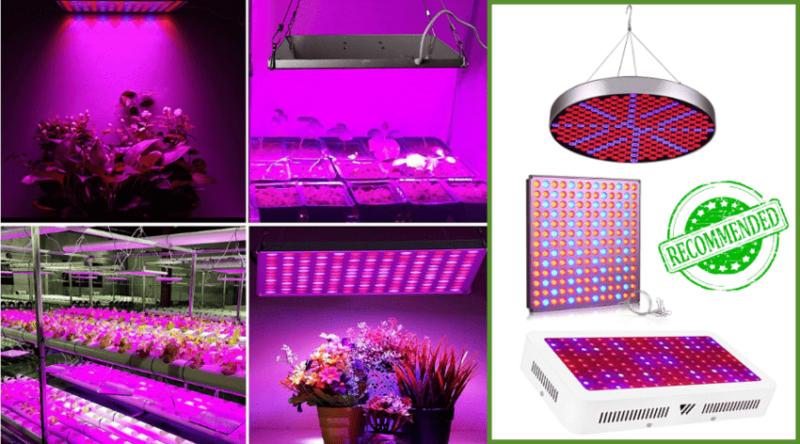 Since they are more specific to the warmer, blue wavelength, fluorescent lights are also a top choice for seedling and mature growth stages of plants, making them a perfect grow light for getting a good crop well started towards bloom and production. With variable mounting options available, you can place these lights in a variety of different situations, including along a wall. The Hydro Crunch includes 95% reflective aluminum interiors on their units to help provide an additional cooling effect. It also draws the light to where you need it. Most units are also compatible with varying tube temperature ranges, offering choices between 6700 and 6400k so you can provide a more concentrated light to your plants during very specific growth stages. The size of these lights are specific from mid to large sized grows, and with the daisy chain capabilities, you can definitely provide light to a large area indeed. Specific to the veg stages of growth, this is a great choice to help get your plants to where they need to be before transitioning them into the short days, and cooler temps for bloom and production. Obviously, your choice of lights are going to be specific to your plant needs, grow space, and even personal preferences based on your past experiences. Growing cannabis for either personal use, or as a cash crop requires a bit of research to determine what is best for your strains, and to maximize potency. One of our top picks based on consumer experiences is the California Lightworks Solarstorm 440-watt LED with UVB. The company offers other products that provide a wide spectrum of lights. Plus, the additional fluorescent support provided by the design help ensure healthier grow. This light also provides optimal control for growers who prefer a wider spectrum of light for a wider range of plant needs. If you have any questions about our picks, or have used any of them yourself, we’d love to hear about your experiences below. And, as always, please share!